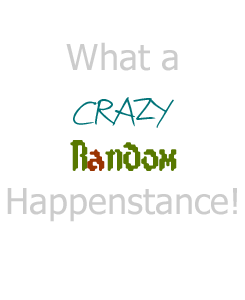 Catching up : What a Crazy, Random Happenstance! Today is a snow day, a great day to catch up. It has been a CRAZY month. J turned 30 and six days later we celebrated our 7 year anniversary. I spent a week subbing for one of Boo’s teachers and then next week I started working at the pre-school as the new assistant of the 2 year old class. I have some fun stuff to share with you so stay tuned.